There are 12 comments for this item. 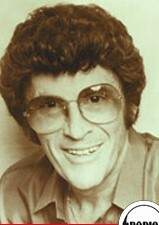 Cousin Brucie is now 82 years old and he is still on the air! He does a nightly show on Channel 6 on Sirius Satellite Radio, which is "60's on 6". Still has the same "cousins" shtick, even though the Brooklyn he espouses is long gone. Dan Ingram, the Ingram Thingram, laughing and scratching, "on the Dan Ingram Show -- Charge!!" Ingram had a perfect working relationship between his brain and his mouth. He was amazing to hear. If you couldn't listen all 4 hours at least you had to catch his unique 2:05 PM openers and 6:00 PM closers. Each day was something different... a funny little story, anecdote, over that iconic theme music. Have heard him say his WABC debut was being a fill-in -- and then replacement -- for Chuck Dunaway. "Dunaway went thataway." IIRC Scott Muni went to WPLJ when it became an FM Album station...again, IIRC one of the first, if not THE first FM station to do so. 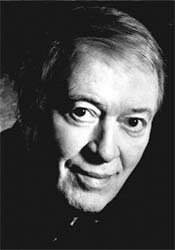 i bet u dont remember chuck dunaway? 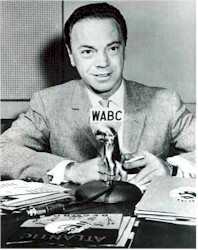 he was on wabc in the early 60s. 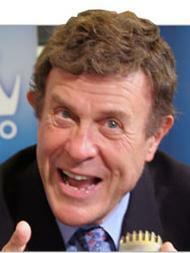 after he left wabc,he owned a couple of radio stations in the mid west. "There were a lot of Johnny Darks running around the country during top 40's heyday. The one in New York was on WMCA in the mid '60s. He is deceased at the present time." The live streaming context that will be broadcast this July 4th week. Promises to be exceptional. The Johnny Dark you site was not the one I met. "Mine" was flourishing in New York in about 1964-1965, but I can't remember what was his radio outlet. Have you heard the various Ingram outtakes posted on the web? Check 'em out here and there. If you know of others, I'd love to hear 'em. BTW for those interested, Dan Ingram"s 50th anniversary in broadcasting is NOW. Here's a couple of website "URL"s dedicated to that. 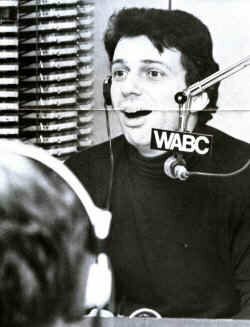 The "rewoundrodio" website will have streaming retrospect s of actual DAN INGRAM broadcasts, from his heyday at WABC MUSICRADIO77 and WCBS FM this July 4th weekend. Hey, that's next weekend, isn't it? BOOKMark THESE SITES AND ENJOY. I remember Johnny Dark but, only from his days at WNBC. Here's some info. But it was back to Beantown in 1985, as Dark segued to Boston’s WHTT/103.3, playing the hot hits at the former CBS-owned FM (now WODS). Anyone remember a New York DJ (for a short stint) who called himself "Johnny Dark"? I had drinks and dinner with him and a mutual friend back in the middle 1960's at a great NY restaurant called "La Scala", whose bast-known patron at the time was Joe DiMaggio. The clams oreganata appetizer they served there were out of this world and I returned there many times to have them served to me. All I needed to sustain me were the clams and some great garlic bread. I listened to Murray the K's "Swingin' Soiree" on WINS most evenings in the early '60s. He developed his own Pig Latin-ish language called "Me-a-zurray" (as in "Ce-a-zan ye-a-zou de-a-zig e-a-zit be-a-zaby?"). I never did understand why he called his listeners "submarine race watchers", though. He had a fondness for Frank Sinatra's music, and I think he organized an annual Sinatra marathon at WINS, where they'd play nothing but Sinatra until Frank himself would call in and say "that's enough". Historical accounts I've read disagree, but I think that in 1964 this marathon went on for a month, Sinatra never called, and all the listeners left for rockier pastures like WABC and WMCA. WINS then switched to the all-news format it airs to this day.